Joe Peta turned his back on his Wall Street trading career to pursue an ingenious—and incredibly risky—dream. He would apply his risk-analysis skills to Major League Baseball, and treat the sport like the S&P 500. 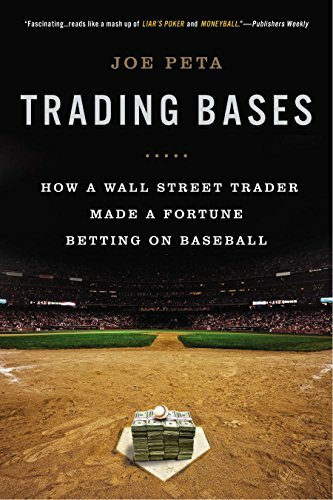 In Trading Bases, Peta takes us on his journey from the ballpark in San Francisco to the trading floors and baseball bars of New York and the sportsbooks of Las Vegas, telling the story of how he created a baseball “hedge fund” with an astounding 41 percent return in his first year. And he explains the unique methods he developed. Along the way, Peta provides insight into the Wall Street crisis he managed to escape: the fragility of the midnineties investment model; the disgraced former CEO of Lehman Brothers, who recruited Peta; and the high-adrenaline atmosphere where million-dollar sports-betting pools were common. If you have any questions about this product by New American Library, contact us by completing and submitting the form below. If you are looking for a specif part number, please include it with your message.